As Tokyo residents take to the streets of Japan’s capital to mark three months since the natural and nuclear disasters hit the country leaving over 15,000 people dead and displacing another 100,000,TEPCO starts filtering air in Fukushima’s reactor 2. ­At noon local time, minutes of silence were observed throughout the country to commemorate the victims of the powerful earthquake and tsunami which devastated Japan’s East Coast on March 11. Friday police reports gave figures of 15,405 people confirmed dead and 8,095 missing. An angry rally was witnessed by RT’s Sean Thomas in front of the headquarters of Tokyo Electro-Power Company in the Japanese capital on Saturday. 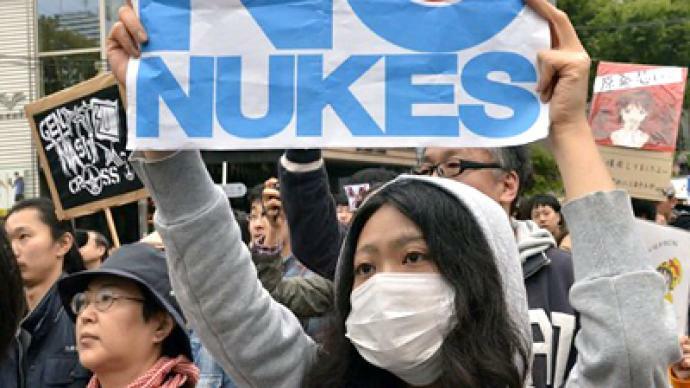 Over 1,000 demonstrators, gathered at the doors of the Fukushima operator, demanded an end to nuclear energy and carried anti-government and anti-TEPCO placards. 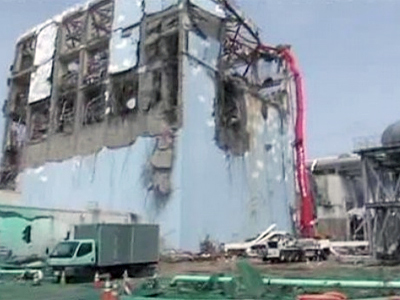 Despite TEPCO having begun running air-filtering equipment at the building of reactor 2 on Saturday to remove airborne radioactive material, the Japanese people find frustrating the company’s slow progress to deal with the aftermath of the nuclear crisis at Fukushima. Their frustration has been worsened by a series of revelations which came in past weeks. In one of these, TEPCO is accused of cutting the radiation readings rates by as much as a half after the Fukushima-1 nuclear power plant was hit by the March disaster. Moreover, three reactors (1, 2 and 3) at the Fukushima facility proved not only to have melted down, but even melted through with the nuclear fuel burning through the inner containment vessels and entering outer steel linings. 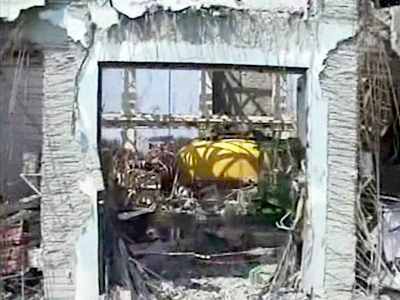 TEPCO is cooling the reactors and trying to contain radioactive leakage. The operator has installed a circulatory cooling system for the spent nuclear fuel pool at reactor 2. These revelations may mean that the radiation exposed area around the plant, set initially at 20km, will now have to be widened. The contaminated water, which has been used in thousands of tons, also raises grave concerns. 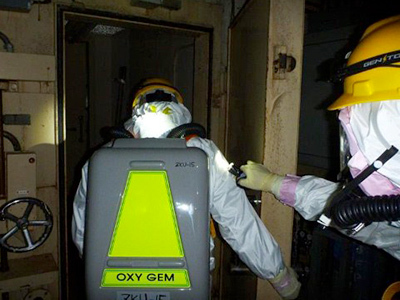 The highly radioactive water continues to accumulate in the turbine buildings and underground tunnels, as TEPCO still has to inject water into the reactors to cool them. In April, TEPCO announced its plan to reach a cold shutdown of all the reactors at Fukushima-1 in six to nine months and to level radiation around the plant in three months. By now the recovery is not expected till the end of the year. Over 90,000 people still live in shelters, over three quarters of whom come from the 20km evacuated area around the Fukushima-1 plant. Dr. Robert Jacobs, Professor of nuclear history at Hiroshima Peace Institute, explains what risks the current situation at Fukushima-1 plant poses. If the radioactive fuel melts through the second containment, exits the plant and enters into the ground, Dr. Jacobs continued, this would be an unprecedented situation which has never happened before. “Nobody knows exactly what that would lead to,” he added. “In Chernobyl, there was a lot of anxiety about whether there would be radiation entering into the groundwater. Well, there’s been massive entry of radiation into the groundwater in Fukushima, and that will simply spread throughout the water table in the area of northern Japan. And so, the extent to which that contamination will affect people could be quite wide and large,” Dr. Robert Jacobs explained. 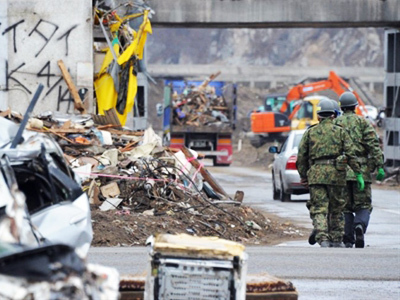 ­Shaun Burnie, an independent nuclear energy consultant from the UK, offered some insight into the political undercurrents surrounding the Fukushima crisis and Japan’s nuclear policy. “I think a broader understanding of how responsible the political [machine] is – the LDP, their bureaucrats and the industry – may actually lead to stronger support for the current Democratic government, which could then push for a non-nuclear policy,” Burnie concluded.